I had every intention of doing a red carpet predictions post leading up to the Golden Globes, but we took a last minute weekend trip and the post got a little sidetracked. However, I spent a large part of the bus ride home scanning Twitter for fashion highlights. One that stopped me in my tracks was Alison Williams. Not because I chose this gown in the would-be round up, but because I skipped over it for the this piece which walked right before it in the Fall 2014 Couture show. 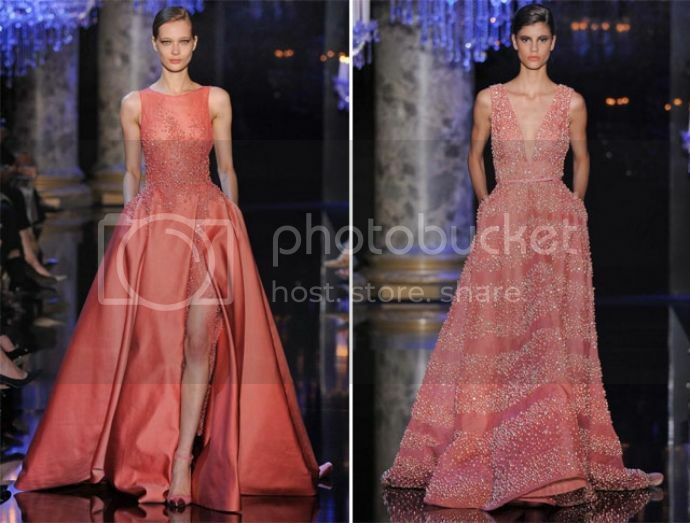 The Armani Prive ballgown is stunning and made for a red carpet, but I the option on the right would have been a fresh change for her. I also want to rough up everything about the styling of this look. She is such a beautiful, young girl and the styling of this gown seems a little stiff. However, this hair and makeup with the option on the right would have been a great contrast. – Katherine Heigl looked stunning in classic Zac Posen tailoring that fit her like a second skin, and I love the hem. – I love a sparkly red carpet dress and this one is stunning on Julianne Moore. – White gowns were also a theme on the carpet, and this Michael Kors cut-out version on Emily Blunt is gorgeous. I love the colorful earrings, but the bracelet should have been left at home. Also, yes to her braided up-do. – Finally, Tina Fey…sigh. I adore you and think you’re hilarious, but you desperately need a new stylist. 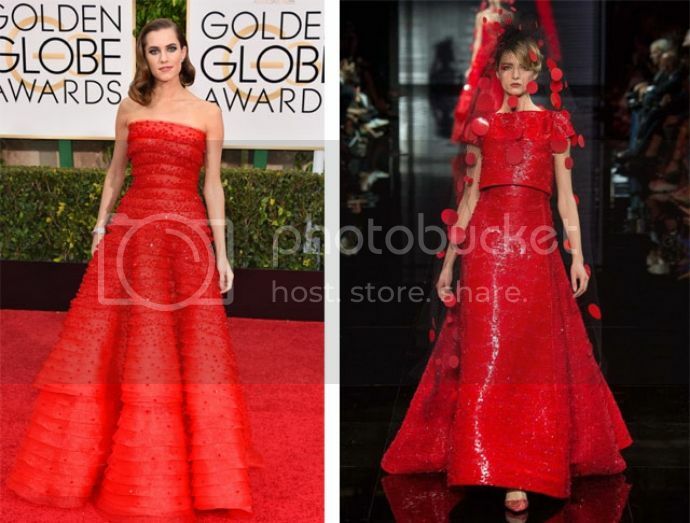 Since the Golden Globes kick off the red carpet season here are a few favorite runway gowns that I hope to see at the Oscars. 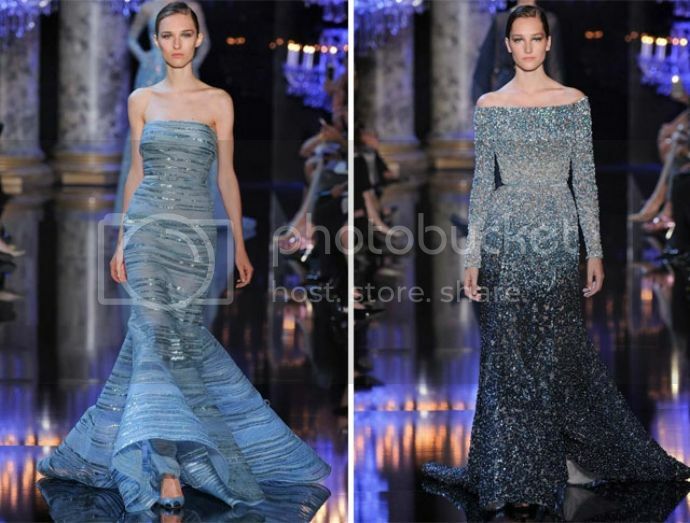 Elie Saab always shows some major red carpet- worthy gowns and these four were some of my favorites. This soft blue is beautiful especially with the shimmer, perfect for a redhead! Also, this is a great sleeved option that isn’t dowdy. Robin Wright looked edgy and little rocker last night in black. The option on the right would be a major yet equally unique option for the Oscars or Emmys. These two are in one of my favorite colors, coral. I rarely go for a high neck, but this slit balances it out. The deep-v was a major trend last night, and I adore it paired with non-beauty queen sparkle. Valentino showed beautiful gowns for a girl looking to push the envelope. 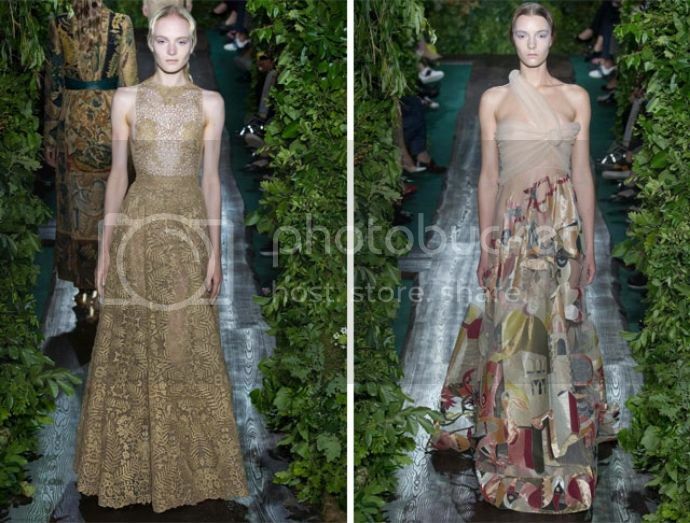 The option on the right would be a great re-do for the ill-fitting Valentino on Claire Danes last night. I would love to see the left option on Lupita Nyong’o, it would look amazing against her skin tone. 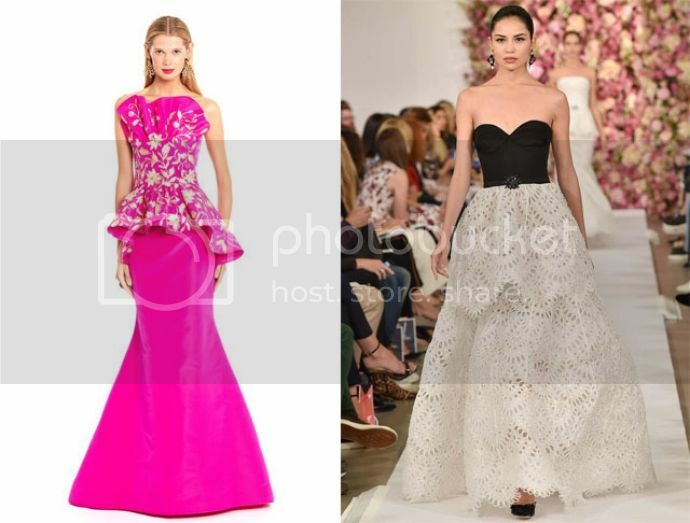 Finally, the late Oscar de la Renta was a natural for the red carpet, and these are two of my favorites from his most recent works. The hot pink is from his resort collection and is simply stunning.